Grenadier (Malus domestica 'Grenadier') is another old English apple tree variety, first introduced in Buckinghamshire in the 19th Century. 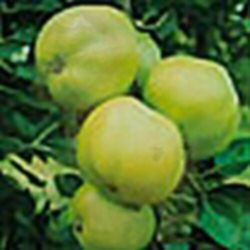 An easily grown apple, it produces large, early fruit which cook to a sharp purée. The tree has a compact form making it ideal for the garden. A very good pollinator for Bramley.